Looking for a beautiful, brand new home with a HUGE back yard? Look no further. 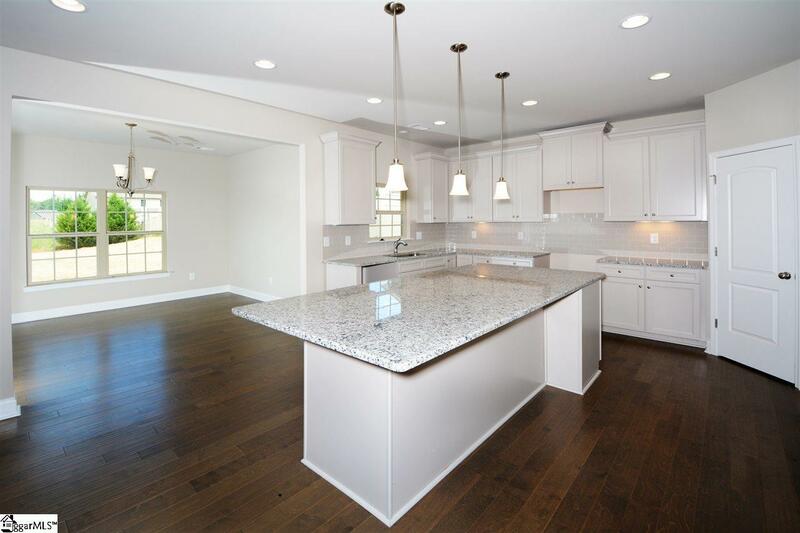 This popular Emerson floorplan is newly complete on a homesite that measures 80'W x 360'D, so the back yard is enormous - lots of room to run and privacy from back door neighbors. Inside, a soft greige color palette is carried throughout this split-plan ranch with bonus bedroom and bath up. 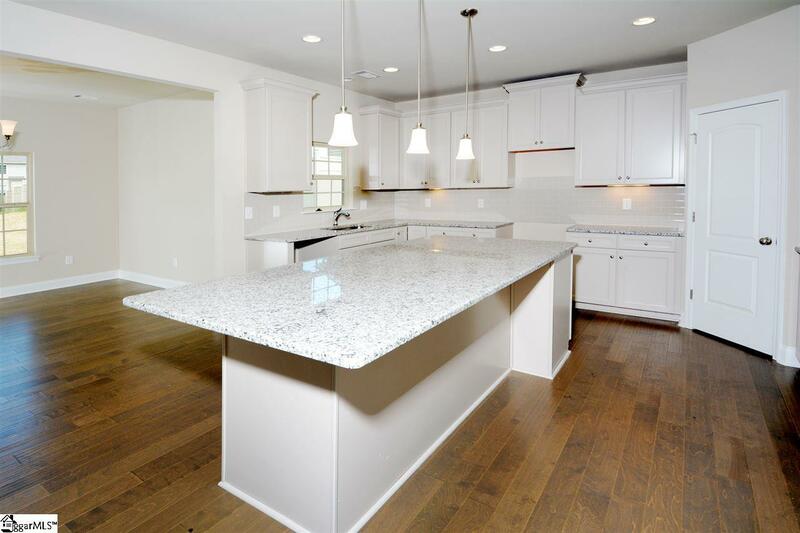 The 4'x9' granite island in the kitchen/breakfast room is the heart of this open design. Overlooking the keeping room and great room beyond, and with room for stools all around, it will surely be the gathering spot for parties large and small. 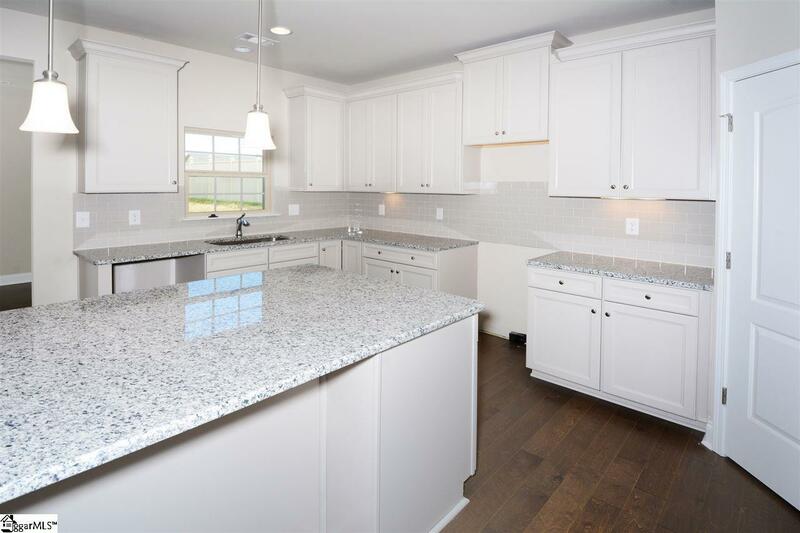 Light, neutral 42" cabinets with soft-close drawers and doors, stainless appliances, walk-in pantry and hand-scraped hardwoods make this space beautiful AND functional. There is formal dining just off the foyer, opening to the vaulted great room with direct vent fireplace with raised hearth and stacked stone surround. A tray ceiling adds a touch of luxury to the large owners' bedroom on the main floor. The luxury continues in the owners' bath, with a soaking tub with a plant shelf, separate shower, private water closet and his-and-her sinks. Hardwood stairs lead to a fourth bedroom over the garage, with its own full bath and walk in closet. This flexible space is perfect for visiting guests, home office, hobbies, media room, man cave and even a boomerang child. There's plenty of storage, with a walk in closet in every bedroom, a deep garage with a storage niche, spacious pantry in the kitchen and walk in attic storage just off the upstairs bedroom. Outside, there's a columned front porch as well as a covered patio on the rear, with generous space for indoor-outdoor living. There's a huge back yard, and plenty of room between neighbors. All this, just off Hwy. 28 in Anderson, convenient to nearby stores and services and just a few minutes to the lake. 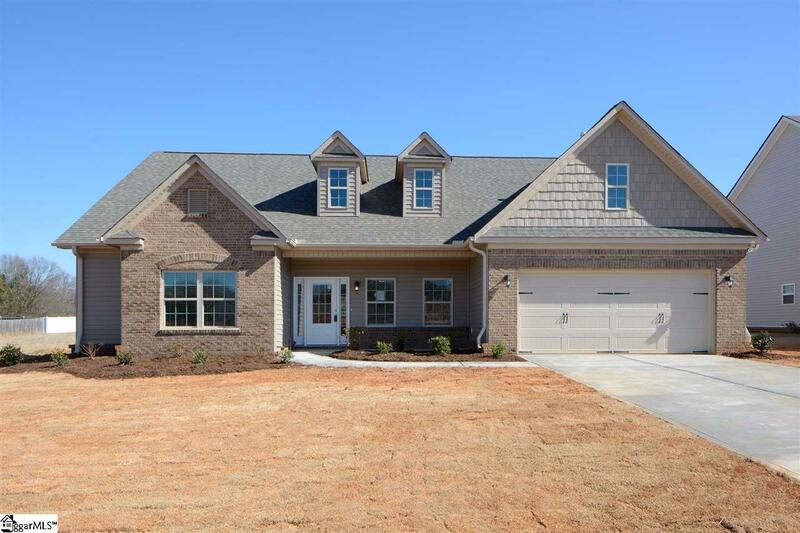 Construction is complete and this beautiful new home is ready for move-in now! Listing provided courtesy of Linda Horner of Keller Williams Easley/Powd.